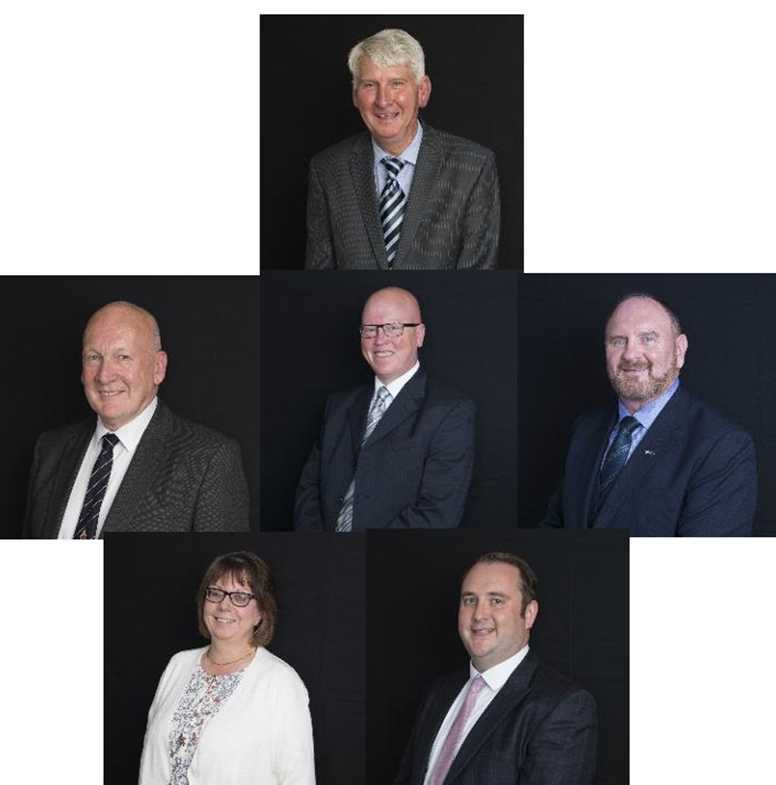 For the second time five councillors refuse permission to audio record a public meeting. At today's 'Cabinet' meeting Cllrs Devlin, Lafferty, Merrick, Bamforth and O'Kane yet again invoke a refusal, which of course they are entitled to do, under the 1973 Local Government Act, however we are of the opinion that in 2019 this is undemocratic. At least Cllr Fletcher when posing this at full council says " We have had a request to audio record proceedings". Not mentioning the preamble possibly indicates a pre discussion on the councillors room prior to entering the chamber. Why would these Cllrs deny the public the right to record, what is in fact a pubic meeting, with members of the public present in the public gallery listening to every word.? We have our own suggestion to that question as to why, in our opinion, Cllrs Devlin, O'Kane, Lafferty, Bamforth, Merrick and Buchanan are acting in an undemocratic manner. Today's meeting was chaired by Cllr O'Kane. He did ask the Cllrs opinion, however I would have to suggest in a somewhat leading manner. He said " The last meeting it was refused to record, is that still the case?". The only person to respond was Daniel Devlin who said "Yes". The chair then said "Permission refused". At the last 'Cabinet' meeting a request to audio record the proceedings was submitted to the chair, Cllr Buchanan. We reported at that time, he had declared without asking the Cllrs present if they agreed the recording or not, he decided that as the meeting was being minuted that would suffice. The 1973 act decrees that the chair of any committee must seek the opinion of the Cllrs present. A request to audio record this meeting was made. It was said that it was the view that permission be refused for this request. Q. It would appear that this decision was made before the Cabinet meeting and therefore a 'fait accompli'. A. This is not correct. Q. Please give the reason why permission was not granted. A. The Cabinet decided that as a previous request was denied the current request should also be denied. Q. I would also request that this reason is included in the minutes. A. Your request is noted. Q. I would appreciate if you will explain the Standing orders/procedures that relate to these requests and how they should be dealt with. A. The Council’s Standing Orders are silent on this matter. The question of how the request is presented is a simple operational matter. Q. How the request should be put to Committee members at the Committee meeting? A. The Committee is advised of the request and views sought on the matter. Q. How the decision is taken? A. The Members of the Committee will decide whether they agree to the request or not. Q. How do the Committee members indicate their decision to the Chair? A. The Chair will ask for views and the Members will respond accordingly. Q. Why no vote is taken? A. No vote is required if the decision is unanimous. Q. Can a vote be taken? A. Yes, provided a motion is put forward and seconded and there is a contrary proposal put forward that is also seconded. Thereafter a vote would be taken. Q. How Residents/Council Tax Payers can be made aware of the individual Committee members' reasons for refusal(or non refusal)? A. They can attend the meeting as all meetings are open to the public. Q. Why the reason for refusal is not minuted? A. Minutes of meetings are not verbatim. The decision is simply recorded in the Minute. Q. Why the individual Committee members' reasons for refusal(or non refusal)are not minuted? • replay meetings after they have taken place, which may be helpful when the meeting time is inconvenient. • hear meetings more clearly. • obtain a better understanding of the workings of the Council. • better engage in local democratic political processes. - It will allow people who are physically unable to attend meetings of the Council or have hearing difficulties to listen at a time convenient to them. - a verbatim record of proceedings which Members and others could access and listen to after the event.